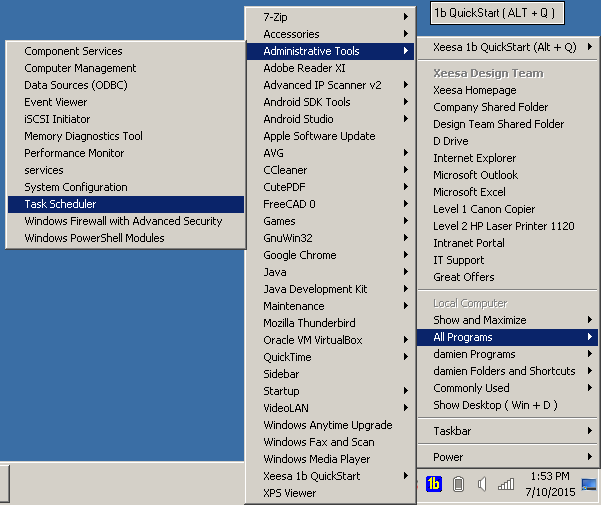 Xeesa 1b Quickstart is a standard access menu across all versions of windows operating system which is an alternative to start menu for accessing shortcuts, applications, local folders, shared drives, network printer, website links. The menu can be edited via online settings to your business needs like different departments have different folders access or printers to print. It is installed and can be found in your system tray or on your Desktop at the top right corner or press ALT+Q to display the menu. It is able to start up upto 3 application automatically when user logged in. There are other applications such as quicktrack, quickrest and other quickapps and quickcloud web applications which are found in the 1b quickstart menu. Simple Registration (email address and name) is needed as the settings are stored online. This standard menu application is build to let users to familiarise to their new operating system after migration instead of spending time to look for ways to access application or tools for work. This can cut down time and resource during the change period which can save enormous costs on time used by employees on learning and adapting to the new operating system environment. The menu acesss links can also be changed via the online settings portal instead of creating shortcuts on desktop or menu which will save time on administrating the change control in the IT Administration and Operations role. The only feature which you misses throughout Windows 8 to 10. This is the life-saver for you. There is my programs which your programs are for your own use instead of all users. You may preset Start Menu over the cloud or network upto 16 apps/ share folder/ printers/ web links which make you / your employees or staff to be easy to access. Save time to learn, Save cost. 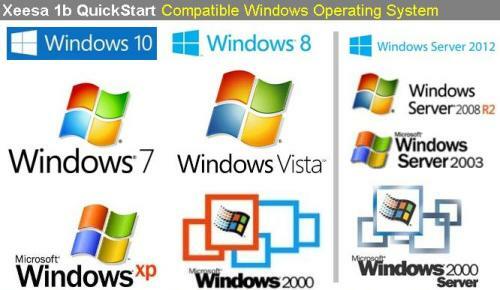 1b reflects on dynamics and flexibility as compared to the original operating system and 3rd Party Add-on Start Menu.